Style: Ethnic, The Look is Graceful and Preciously Suitable for all Kinds of Traditional Attire. It's a Choice of Many Bollywood Celebrities and stars. 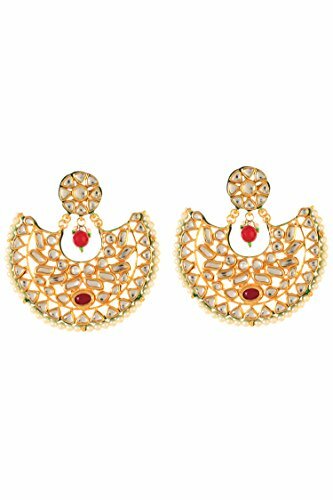 Super fine quality product from the house of Anuradha Art Jewellery. 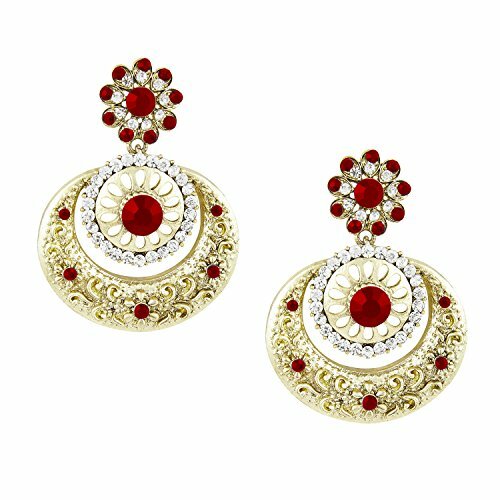 Can wear on any occasion including Aniversary,Wedding,Engagements,Parties. It is the perfect match for you and will be close to his heart. Ideally suited for party as well as casual wear, Perfect gift for yourself or your loved ones. 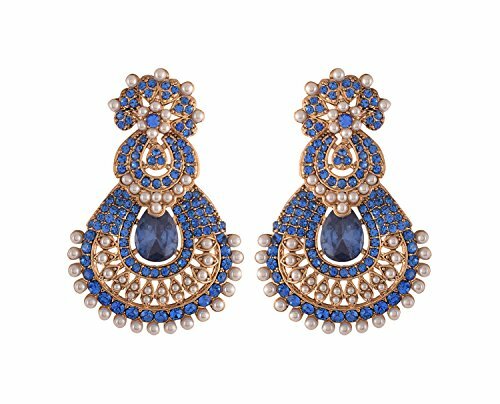 Note:- Avoid keeping these earrings in a velvet box, avoid contact with perfumes and water. 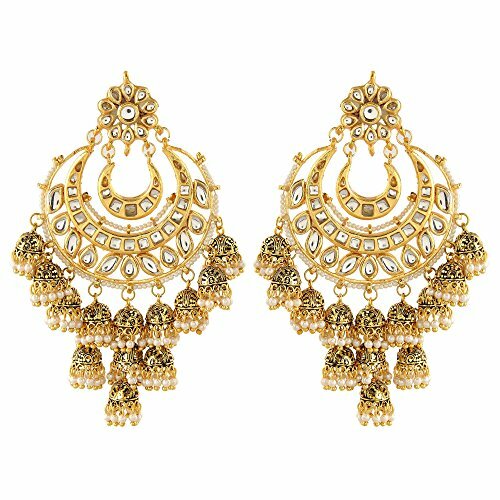 Staggering substantial look ethnic Afghani Chanbali Earrings. 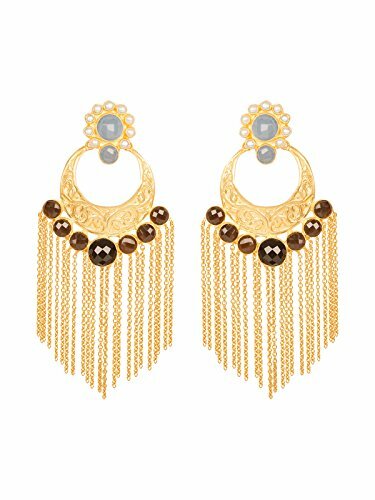 Perfect with ethnic & ancient wear. can even be an ideal Gifting possibility for friends and family one. 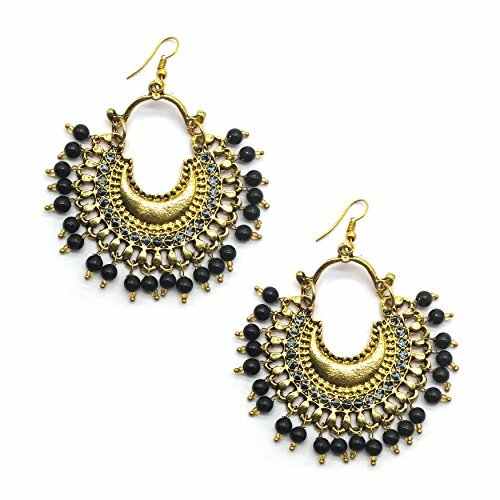 Afghani Tribal Chandbali Hook Earrings Clemonte brings to your afghan jewellery. 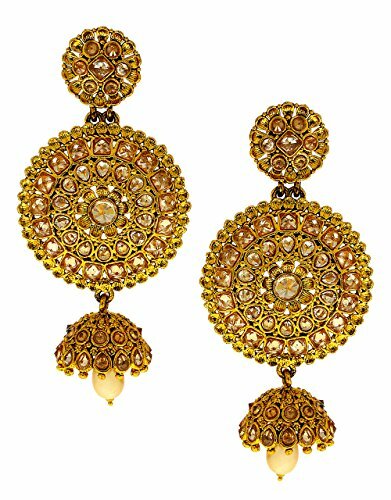 This Stunning ethnic dangler Afghani hook chandbali earrings in Golden tone. 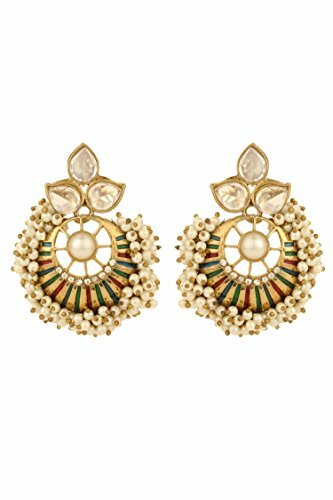 Floral design with filigree work and studded with Rhinestones gives a traditional touch to the earrings. 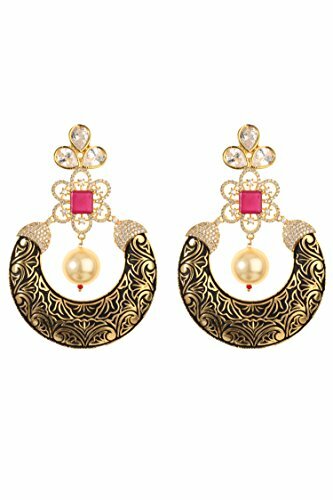 Exclusive Diwali Collection Combo Earring With Low Price. 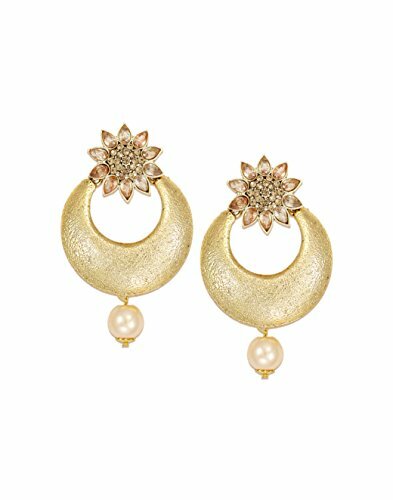 Material :- Gold Plated Metal.Indulge in it or gift it and watch the compliments flow! Ethnic Wear. Can be worn for engagement and wedding parties. Giving Occasion, Great Gift For Girlfriend, Wife, Daughter, Mom Or Friends On Christmas Day, Birthday, Valentines Day, Anniversary, Thanksgiving Day, Etc. Treat Yourself Or Someone Special With This Jewelry Piece. 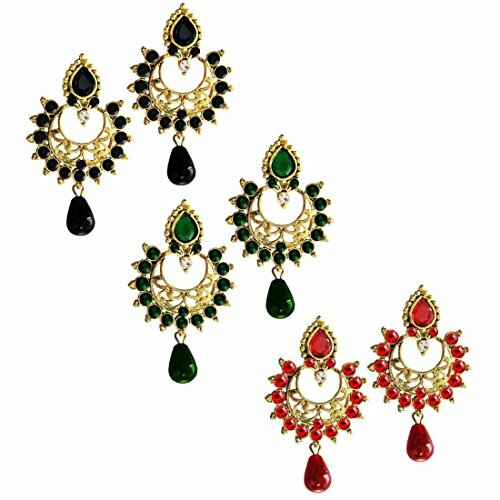 Beingwomen presents lots of beautiful and exclusive collection of jewelleries only for you. 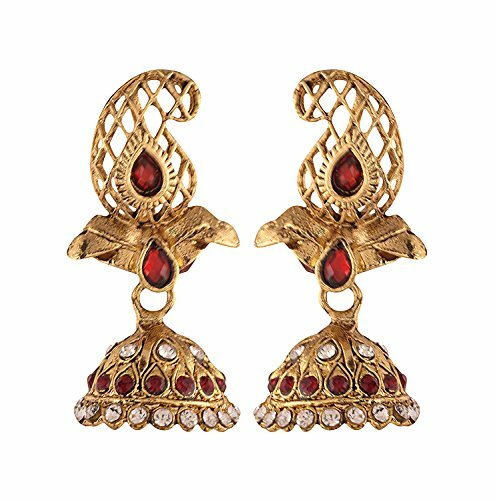 These premium designer floral chaandbalis are gold-plated for maximum effect. Accentuate your femininity wearing this beautiful piece by designer Label Amara. 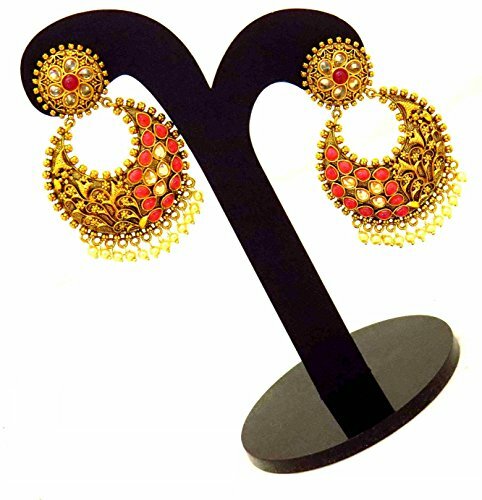 QUALITY - Made from premium material, these earrings assure to remain in their original glory even after years of usage. 0.3 Micron Plating is used which is not easy to fade. 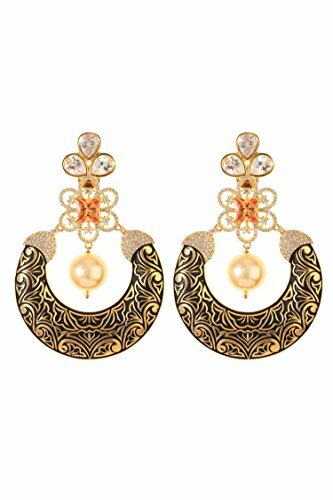 SKIN FRIENDLY - Material - Gold-Plated, Brass Alloy. Nickel and Lead free as per International Standards. Anti-Allergic and Safe for Skin. BRAND- Designer Label Amara brings you affordable ethnic festive fashion inspired by Bollywood chic & Hollywood glam. OCCASION - Perfect for a festive night affair or a fancy lunch.